BMW X1 is one of the luxurious cars in the UAE market. Introduced in 2009, it quickly became one of the successful models in this segment. 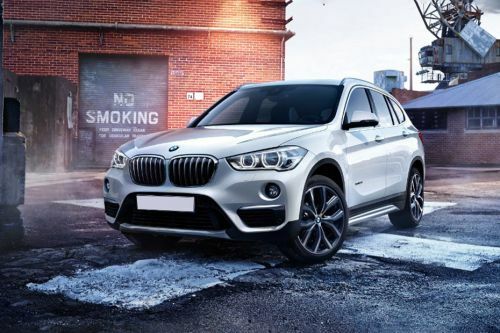 At the upcoming 2019 Auto Shanghai, the Chinese market will see an exclusively made BMW X1 xDrive25Le, which will have improved efficiency and better range. However, in the UAE, the crossover is available only in sDrive 20i option. It carries a price tag of AED 189,000. The entry-level crossover from Munich automaker comes with an aggressive look. Its hood continues to the double kidney front grille, which emphasizes more on its aggressiveness. Also, the extended front air ducts positioned close to the grille. There are also adjustable headlights, front fog lights. The car rides on 17-inch alloy wheels. On the mechanical front, BMW X1 is equipped with a 2-litre DOHC engine, which pushes out a maximum power of 184 hp, while the peak torque sticks at 270 Nm. The power is sent to the wheels via an 8-speed automatic transmission. In the safety department, the car features passenger airbag and driver airbag. To improve the braking efficiency, it moreover comes with ABS with EBD, Brake Assist, Vehicle Stability Control, etc for better performance. Have a question on X1? X1 is available in 3 different colors - Alpine White, Mineral Grey and Estoril Blue. Watch latest video reviews of BMW X1 to know about its interiors, exteriors, performance, mileage and more. BMW is known to offer some of the most outstanding cars in the segment that are both premium and powerful. Plus, even the entry-level cars are very much in line with the higher models and won’t feel very downsized in terms of the quality. One such car from the Bavarian automaker is the X1, an entry-level crossover in the big lineup but extremely promising. The newest model was introduced back in 2016 and has given a tough fight to its competitors like the Mercedes-Benz GLC. However, starting at a little over AED 160,000, it is marginally more affordable to its closest rival. The settings on the inside of the BMW X1 is very similar to that of any other cars in the company’s lineup. The first and foremost thing that will thrill you is the addition of a panoramic sunroof which is great for the ventilation as well as to experience the surrounding while driving through the lush scenic beauty. And as usual, the company has gone its way to design the centre console and the dashboard in the most driver-focused way. The three-spoke steering wheel has a lot of control buttons for the audio and the likes. The head-up display is the same as you will find in almost all other BMW cars, that is, mounted on the dashboard top. The BMW X1 may be the smallest crossover in the company’s lineup but it looks very posh right from the first impression. It has a very dynamic and versatile character in its approach and has the resemblance to the BMW genes at every spot. The body is very sculpted, especially the sides. There is that one thing that the X1 is and will always be known for. Cometh the darkness, the six-eye illumination up at the front hold the distinctive X-family look. All of the lightings are LED units, cornering lights, which includes the adaptive beam technology increases the illumination of the roadsides and also decreases energy consumption by 50%. Once you get behind the wheels of this BMW X1, will surely love the way it handles the amazing power. The throttle response on the higher tuned engine is just immense and you will love the throaty exhaust. With such power, it can hit the 100 kmph mark from a standstill in just 6.5 seconds while the lower tuned engine can do the same in 7.7 seconds. However, the power is lower than the other bigger siblings, and hence, the top speed remains at 225 kmph and 235 kmph respectively for the lower and higher. The rear wheel drive is the mechanism that is the reason behind it making the ride so sporty and fun-to-drive. One of the best things about the BMW X1 is the engine variant. Though the company offers just one engine option, the sole motor is made into two tunings. The first derivation of the 2.0-litre turbocharged 4-cylinder engine makes 192 horsepower and 280 Nm of torque. On the other hand, the greater tuning makes 231 horsepower and 350 Nm of torque. Power is sent to the rear wheels in both the trims and the transmission duties in both are done by the same 8-speed automatic. The BMW X1 gets the standard safety kit like most other models from the shed, that is cruise control, dual front, side and curtain airbags, stability control, etc. As for the braking, if the disc brakes aren’t enough, the addition of ABS and electronic brakeforce distribution. Also, there is the cornering brake control that makes braking while cornering a safe affair. The BMW X1 does deserve to be one of the most-preferred crossovers in its segment as it has everything right. Or does it? The price seems to be a little on the higher side, as usual for any BMW car, though it is cheaper than its Mercedes-Benz counterpart. However, the small price ask does bring down the power on the lower range as some of the similar cars are more powerful or are more fun-to-drive options. What is the price of BMW X1? On road prices of BMW X1 sDrive 20i in is costs at AED189,000 . What are the colors options available in BMW X1?